The James Joyce Centre in Dublin has orchestrated another annual celebration of Joyce's work, complete with readings, exhibitions and walking tours. It begins on 4 June 2011, with the Bloom Garden Show in Phoenix Park, and concludes with a whole host events on Bloomsday itself (16 June). Photographer Motoko Fujita presents a collection of Joycean inspired images focused on the village of Chapelizod. The Joyce Centre is also pleased to host the launch of Fujita’s companion book (Lilliput Press, 2011) featuring essays by David Norris, Barry McGovern, Sam Slote, John McCullen, Danis Rose, WJ McCormack, Thomas MacGiolla and Shigehisa Yoshizu. The exhibition will run until 24 July 2011. Free. Booking required for the launch event. OPW Chief Superintendent of Parks John McCullen will guide us through a Joycean history of Dublin’s great Phoenix Park. Drawing on images from the OPW archive, McCullen’s talk will illuminate the historic backdrop of some of Motoko Fujita’s contemporary photographs on exhibition at the Joyce Centre. Free. Booking required. 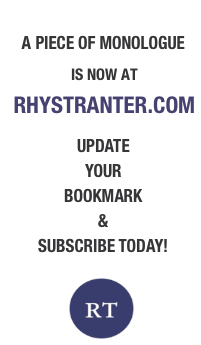 Click here for James Joyce Centre website. “Gerty MacDowell loves the boy that has the bicycle.” Come with us on a journey aboard your very own velocipede as we explore dear dirty Dublin’s Northside. Visit the homes that played host to the Joyce family’s spiral into poverty at Fairview and Phibsborough, as well as the sights and spots that inspired the fiction, including Glasnevin Cemetary. Ticket includes a guided tour of the cemetery. Please note: this tour ends at the Brian Boru Pub in Glasnevin, where an optional Joycean lunch is on offer (not included in the ticket). Tickets: €32. Booking strongly recommended. Click here for James Joyce Centre website. The Irish Jewish Museum will host an evening of discussion on Irish Jewish culture in the time of Joyce featuring a talk by a member of the Irish Jewish community and a lecture on Jewish elements in Ulysses by James Joyce Centre Research Scholar Terence Killeen. Co-sponsored and hosted by the Irish Jewish Museum, located in the former Walworth Road Synagogue. Jump aboard our bus and take a sojourn into Joyce country. Delving into south Dublin’s suburbs, we’ll explore Joyce’s early formative years alongside the locations that became so central to his fiction. Stops will include Dublin’s old Jewish quarter known as ‘Little Jerusalem’, Rathgar and Rathmines, the Martello Tower, Mr. Deasy’s School at Dalkey, and Sandymount Strand. The ticket covers the cost of admittance to the Irish Jewish Museum where a talk will be delivered on the history of the Irish Jewish community; the tour will stop for lunch in the picturesque village of Glasthule. Tickets €30; booking strongly recommended. Click here for James Joyce Centre website. Born in Buenos Aires in 1962, Carlos Gamerro is a prominent contemporary Argentine writer. He has authored four novels, including Las Islas (The Islands, 1998) and El secreto y las voces (The Secret and its Voices, 2002) and has translated Shakespeare and Auden. This talk is hosted in association with The Embassy of Argentina. (Mr. Gamerro will also be in conversation with noted Spanish journalist Juan Cruz at the Instituto Cervantes on Wednesday 15 June at 6pm – contact the Instituto Cervantes for details, 1 631 1500). Free. Bookings required. Click here for James Joyce Centre website. Inspired by Leopold Bloom’s gift of Banbury buns to the seagulls on nearby Sackville Bridge, enjoy tea-time treats and traditional fare from Ulysses at Afternoon Tea in The Atrium Lounge. To the accompaniment of live music from the period, including some of Leopold's favourites, Joyce scholar Gerry Dukes will offer a special talk at 3pm sharp. The Atrium Lounge at The Westin Dublin, Westmoreland Street. On this first evening of our two-night tribute to Joyce and music tenors John Scott and Morgan Crowley, soprano Deirdre Masterson, pianist David Wray, and violinists Jane Rose and Fiona Regan perform hallmark songs from Ulysses. Hosted by Barry McGovern, this promises to be a romantic night in St. Stephen’s Green. Sponsored by Dublin UNESCO City of Literature and supported by OPW and the Joyce Centre. Free. Limited seating. No Bookings. Join us for a traditional full-Irish Bloomsday Breakfast in The Gresham Ballroom, complete with all the Ulyssean fare you’ve come to expect! Tickets: €23. Bookings recommended: Click here for James Joyce Centre website. Hoopsa boyaboy hoopsa! Come up to the Joyce Centre, rap at the door of No. 7 Eccles Street and explore Joyce’s world on exhibition. Grab some Bloomsday grub streetside. Eavesdrop on Molly’s musings then head off for one of our special tours of Joyce’s Dublin. It all starts here! This year, join us at The Bandstand in St Stephen's Green as Master of Ceremonies Alan Stanford hosts another gala afternoon of readings and songs from Ulysses. Joyceans of all ages and backgrounds are most welcome! Come and read your favourite few words from the book of the day. We’ll be treated to music of the era and songs from the big blue book of Eccles. Keep your eyes peeled for Almidano Artifoni, the evangelist Alexander J Dowie, the Vice Regal Cavalcade and a host of Ulyssean characters as you wander through rocky Dublin this afternoon. They’ll take you by surprise! Join us in St Stephen’s Green for the second session of our two-part tribute to Joyce and music. Lyric tenor Noel O’Grady and pianist Eamon Keane will join musician and poet John Sheahan of The Dubliners and classical guitarist Michael Howard to perform a Bloomsday bouquet of music and melodies. The Eastern Harps trad band will delight us with soulful and rollicking ballads from Finnegans Wake. With Danis Rose as Master of Ceremonies, this Bloomsday soirée is not to be missed. Sponsored by Dublin UNESCO City of Literature and supported by OPW and the Joyce Centre. So you think you know Dublin? Or do think you know yer Joyce? Gather a team of four and test your knowledge of 1904 Dublin at our grand Charity Pub Quiz! Great prizes from our sponsors for the winner and runner-up plus dozens of wonderful raffle prizes including accommodation, travel, dining, literature and much more! Proceeds will support SHINE, Ireland’s largest mental health charity. The Mint Bar at The Westin, Westmoreland St. (Just north of Tommy Moore’s roguish finger). All welcome. €10 per person to play (€40 per team). To register your team, call the Joyce Centre or click here for James Joyce Centre website. This tour explores the background to Joyce’s Ulysses and to Bloom’s thoughts as he crosses the city in search of something to eat in the ‘Lestrygonians’ episode. A humorous contrast of well-fed and under-fed citizens is mixed with a commentary on city buildings, and the presence of police constables reminds us of the realities of Dublin as a colonial city. In these footsteps, food becomes the central issue of social, cultural and political life in Dublin in 1904. The tour starts from the James Joyce Centre and finishes at the National Museum. On our andante dander around the Hibernian metropolis, we take in North Earl Street and the ‘Prick with the Stick’; the house where Oliver ‘Buck Mulligan’ Gogarty was born; the setting of the Dubliners story ‘The Boarding House’; the house in which Sean O’Casey was born; the site of 7 Eccles Street, home of Leopold & Molly Bloom; and Belvedere College, which Joyce attended in the 1890s. The tour starts from and returns to the James Joyce Centre. 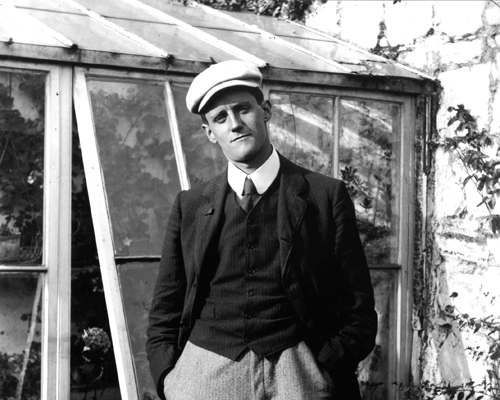 Join our guide on a ramble through the city of Joyce’s first and most accessible work, Dubliners. Completed in 1907, Dubliners skilfully treats both turn-of-the-century Dublin and Joyce’s surroundings in continental Europe where the stories were written. The tour examines Joyce’s life in Dublin and the Dublin he created in his stories, as well as looking at how the city has commemorated its famous son. Joyce’s Dublin was a city of politics and intrigue, of religious devotion and disaffection, as well as a city in which the pressures and ties of family and society were never far off. The tour starts from the James Joyce Centre and finishes near Trinity College. This special Bloomsday walk features some of the most important Northside locations from Joyce's Ulysses. Our hour-long wander will take in Belvedere College, Eccles Street, Leopold and Molly Bloom’s residence, and variety of key locations along Parnell Square and O'Connell Street.